Age restrictions : no under 5s Wow Pit Standing Pods: Strictly ages 14+,Under 16s must be accompanied by an adult 18+. Seated : Under 16s must be accompanied by an adult 18+. 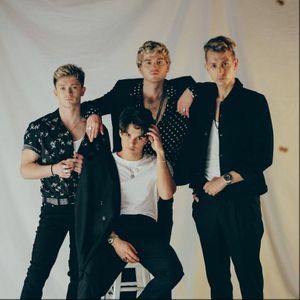 The Vamps are one of the most successful British bands, achieving a huge amount of success and acclaim all over the globe and are heading to Aberdeen! The Vamps have picked up over 2 billion streams globally and have 8.4 million monthly listeners and 1.7 million followers on Spotify. They are also one of the most watched artists on YouTube, with over 600 million video views. Their most recent album Night & Day (Night Edition) scored the top spot on the Official Albums Chart and also stormed into the Top 10 on iTunes in over 20 countries including Argentina, Philippines, India and Australia.